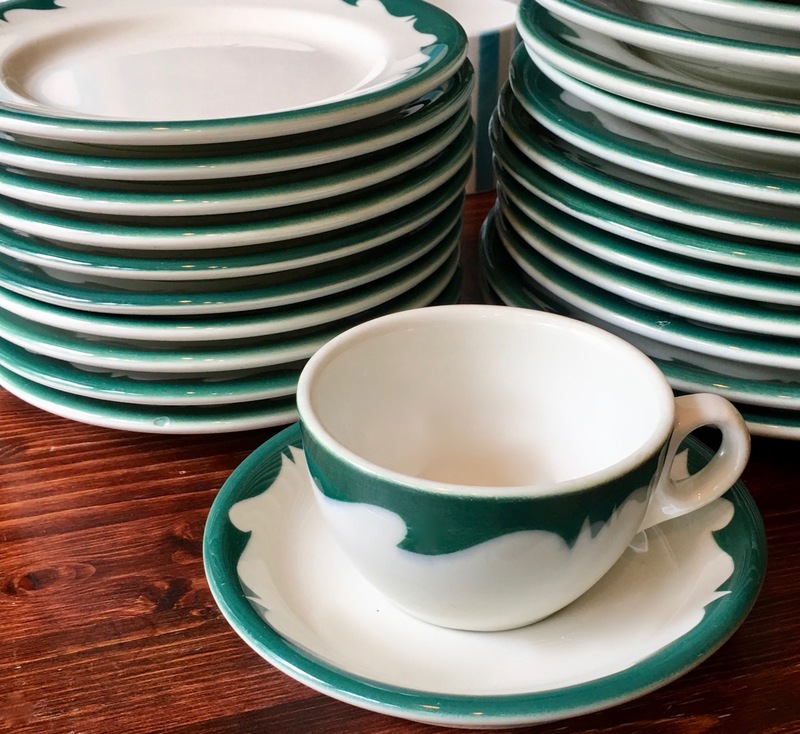 If there is one pattern that defines restaurant ware then perhaps, a green crest border would find a place in the top three patterns. But still, it is not easy to find in quantity these days. But sometimes, a tall stack of these old diner dishes appears in a dusty old basement or the back room of a restaurant. Like these. . . . stacks and stacks of plates.